As we all know, we are now at the time of year associated with births and new life. Seasonally, many of us will be showing off our beautiful baby bumps and simultaneously planning our big day, preparing for our happy ever after. 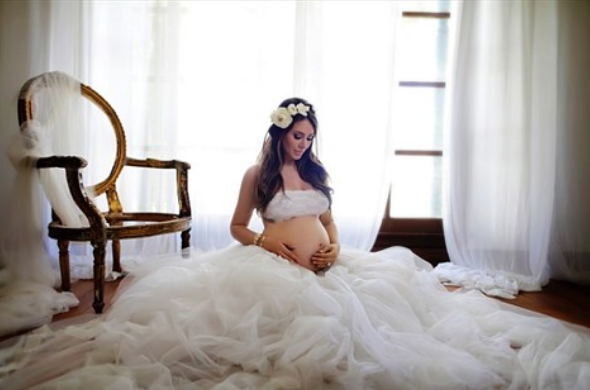 However it is crucial to remember that wedding planning can be a big strain and even at times stressful, which can feel amplified when pregnant. Black Pearl Weddings would like to share some tips to try and make everything that bit more relaxed for those bride & mother to be’s. Firstly, take into consideration that there is a lot to plan, with unexpected issues inevitable and well hidden minutiae to arrange, so be sure to allow plenty of time to organise everything as you will undoubtedly need to take things at your own pace, especially for those nearing the due date. When selecting your dress, always opt for something that is comfortable and shows off your bump tastefully. 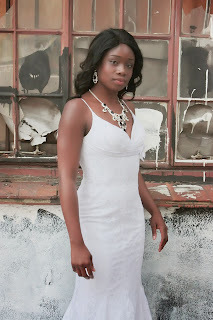 While some would suggest that white would not be the right choice, above all, remember to pick the dress that you want. It is imperative that you feel phenomenal, so whichever style and colour is your preference, then that is what to go for. It would be recommended to consider a fuller dress as opposed to a figure hugging dress, with styles such as empire line, princess line or A-line being ideal styles. Naturally avoid any tight corsets or bodices. 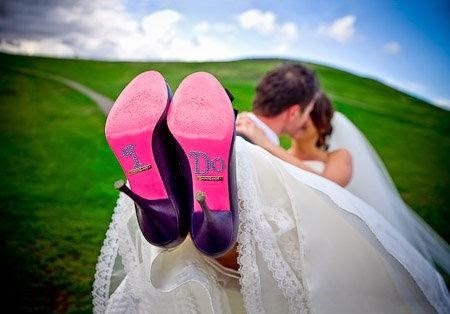 When choosing the footwear, it is advisable to avoid anything with high heels, but rather flat footed to make the ceremony more accessible and maintain comfort throughout the day. If you are planning a church ceremony, remember to talk to the officiant well in advance, as some churches won’t perform weddings with pregnant brides but many will. Ensuring this is one of the first steps will help to avoid disappointment and enable you to plan exactly what and where you want. Many pregnant women will find that their fingers are prone to being swollen throughout the pregnancy, so a ring that can be easily altered or a stand in ring until your hands return to their pre-pregnancy shape and size. The menu for the wedding breakfast will also need to be tailored to the needs of your pregnancy, given that there are a number of foods that are not suitable for consumption during pregnancy. While you may well want your groom and guests to enjoy these foods, you should take extra care to have the right meal ready for you. Always avoid alcohol, seafood and any raw fish, soft cheeses, whipped cream, and anything your doctor advises against. Be practical with your honeymoon. It is hard to imagine wanting to fly very far, and in fact, if you are well advanced in the pregnancy, this is also something that is advised against. Look for something relaxing and enjoyable, rather than an action packed, non-stop adventure – this could be something to pursue when your baby is old enough to join in. Finally, remember to actually enjoy the day! It is probable you will frequently find yourself getting tired and want to sit down, so you will need facilities available to ensure your comfort at the drop of a hat, and crucially, make sure you are going to be located within reasonable distance of the toilets, or perhaps have access to your own restroom. Good luck with your wedding and pregnancy, Black Pearl Weddings are sure it will be the perfect day for you! 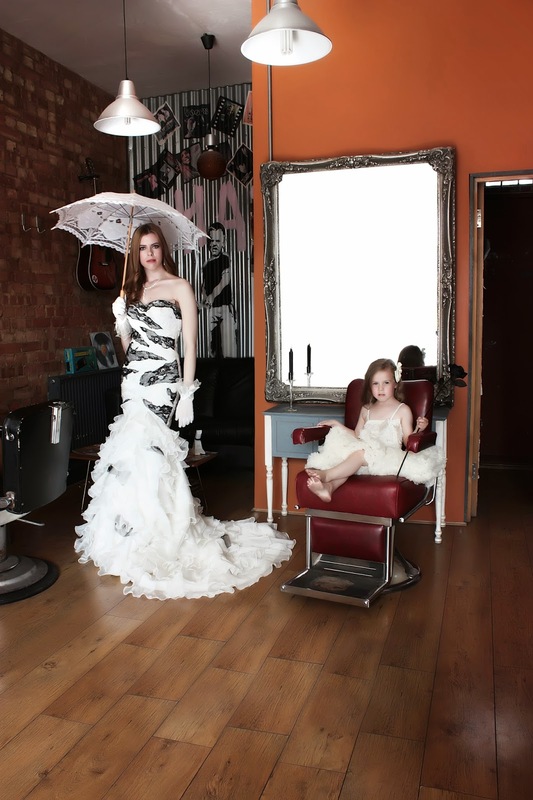 Following our post back in November 2013, Black Pearl Weddings caught up with Maisie Palmer, the Make-Up Artist behind Style Pearls of Wisdom, for a collaboration on our recent Barbershop Photoshoot, styled in the Urban Vein. We took the opportunity to see where she is now and how her career has progressed over the past 18 months, which has advanced incredibly and showing delightful results. Please tell us a little bit about what you have been up to since our last shoot "style pearls of wisdom”? Well hello there again everyone! I've been very busy working on many exciting projects such as working on various short films, music videos and photo-shoots as well as Assisting on a Horror feature film ! I've also completed an advanced course in Media hair and Make-up, which now allows me to offer airbrush and hairstyling services to my clients! Please tell us about the make-up you used in the recent Barbershop shoot? With the Barbershop shoot, I decided to use a combination of warm and cool smoky eyes along with a softer base and warmer subtle lips. The brands I mainly used was MAC studio fix fluid foundation for the base to achieve a flawless complexion as well as using foundations from a Pro favourite brand called RCMA to perfect and conceal under eyes . The whole look ended up polished but edgy with help from the smokiness of the eyes! 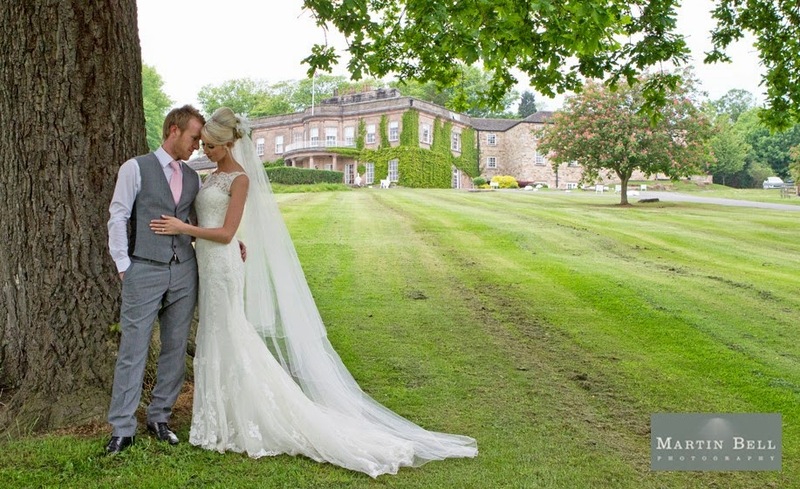 What advice would you give a bride on when selecting a make-up artist? I would always suggest booking a trial with any make-up artist you come across, it's vital you can really express and feel comfortable with the look you're going for on your big day. You will be photographed left right and centre and it would be a shame if you didn't feel beautiful! Always try to book your trial at least a month or two before your wedding, so it's one less thing to think about a week before! Do you have any new make-up tips you would like to share for brides? My first would be to get a good skincare routine going. Make-up is a magical thing, it can cover almost anything, except covering texture! If you can get a good routine going (cleanse, tone, moisturize, you know the drill ) at least a few months in advance of your wedding, or just in general, it will ensure a smother base for your foundation and can even make your make-up last longer. I would suggest visiting a local beautician so you can learn how to really take care of your skin. Secondly, if you can't add a make-up artist into your budget and decide to go it alone, then fear not! As long as you test out your make-up look at least a few weeks before in natural light (the best light to apply make-up) to ensure you have a good foundation match and it lasts well throughout the day. Also taking photos in different lights can give you a good idea of how it will look on the day. 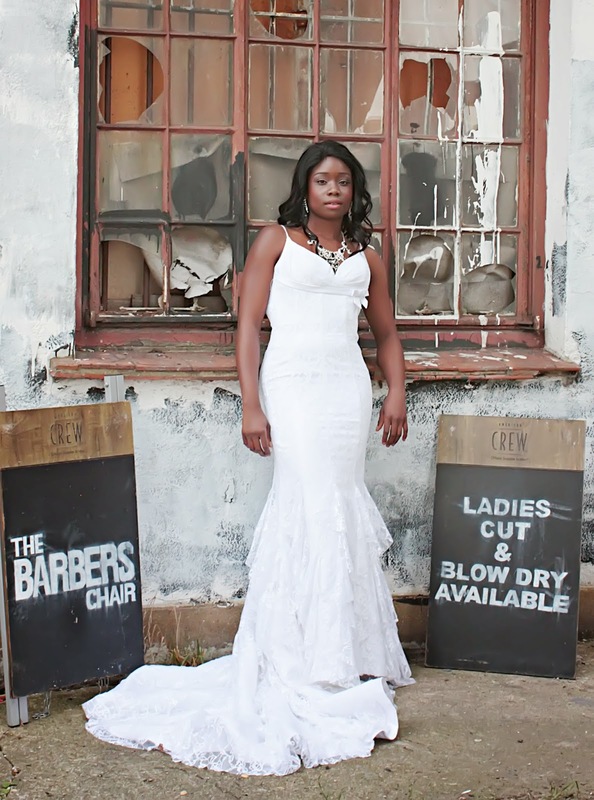 Black Pearl Weddings are proud to unveil to the world our most recent styled photohoot. Combining the elegance of traditional wedding fashion against the juxtaposed urban style background, we have created a perfect example of how beautifully different styles can collaborate to create a stunning and unique theme. Hosted in an urban backstreet London barbershop The Barbers Chair situated in Arnos Grove; the beautiful bride-to-be and her bridesmaids undertake their stunning wedding makeover. If you love London as much as I do and you are a bride that appreciates this cites quirks you will love this perfect location. Set against a banksy-esque backdrop what other place is better for your concrete jungle wedding! 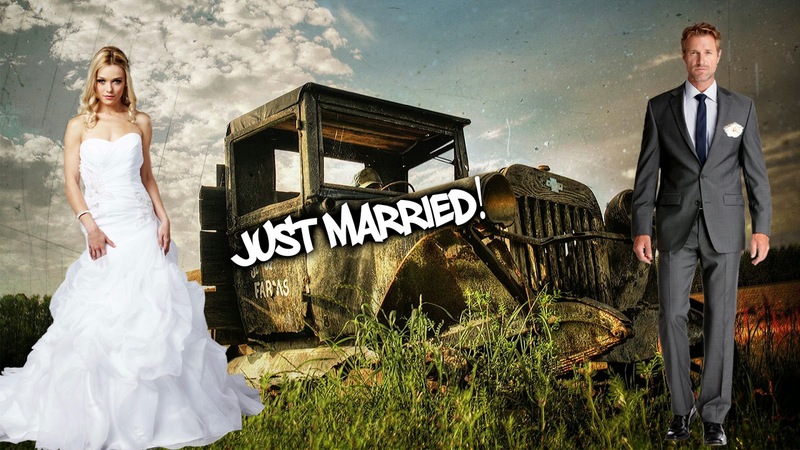 Just because you may choose a location that is different from the norm such as cobbled side streets or against our famous Street artist Banksy, does not mean you have to take out the traditional elements of your wedding day. 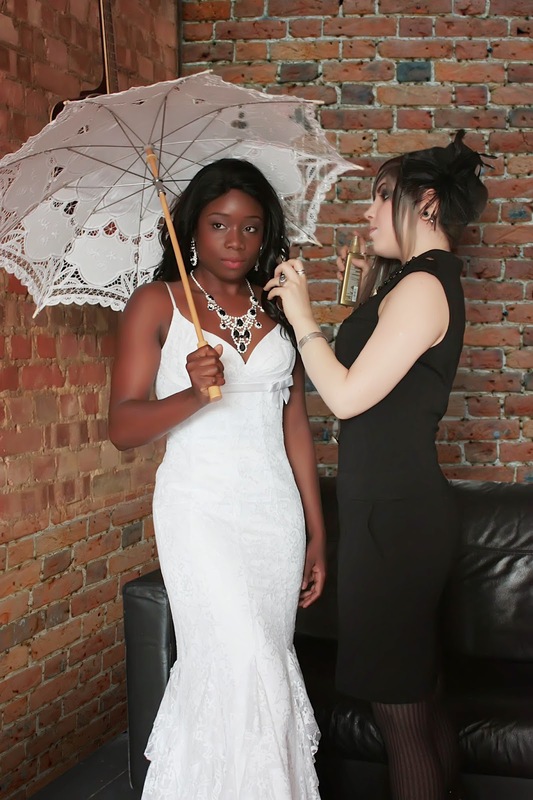 Black Pearl Weddings incorporates your love of both the modern Londoner and the traditional bride. The Wedding gowns provided by the wonderful Bridal Gallery are unique in their design and texture, creating a breath-taking look to emphasize the glamorous appeal of this theme. Both dresses speak volumes; they show off personality as well as accentuating both the brides’ figures, giving sheer elegance to a rustic and trendy atmosphere. 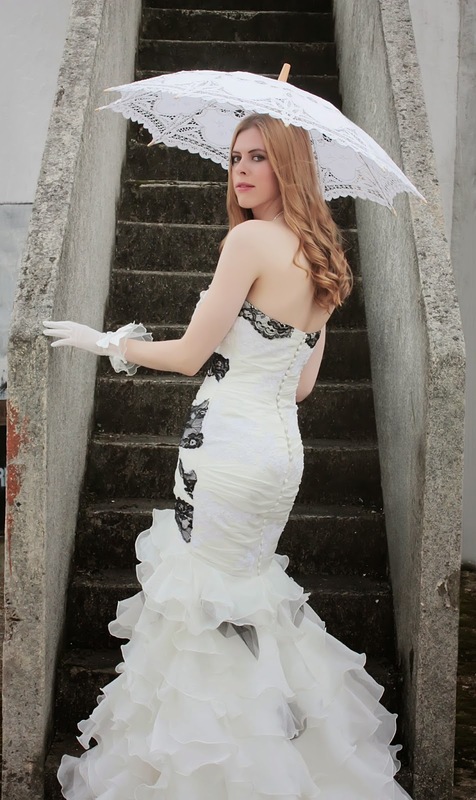 To compliment such beautiful gowns are the accessories to match, also by the Bridal Gallery. Now if you are like me then Diamonds are always the way to go, no matter the theme! Both the Bride and her bridesmaids are adorned with diamonds and gems. My favourite is the black and white diamond necklace with matching teardrop earrings. If you are not a bride for tiaras or clips then a necklace such as this really makes you gleam, I like to think of it as a crown for your neck. Something that is the crowning glory of you and the dress! Now lets talk about flower girls! This little cutie is donning a gorgeous tutu dress by Angels-Face boutique, complimenting the bride and bridesmaid, the beautiful little lady knows how to make a room bring about the ooo’s and awww’s of a wedding day. 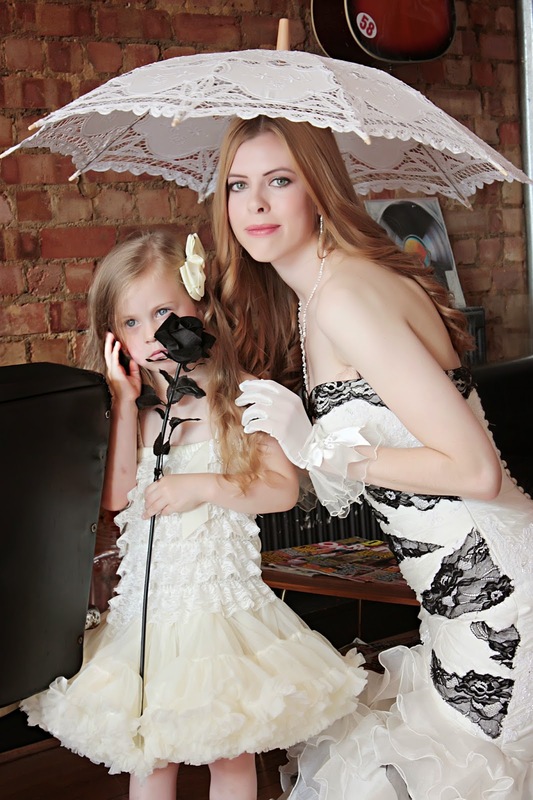 Angels-Face boutique offers stunning garments for your adorable flower girls; ready for them to walk down the aisle before you arrive in style! Of course last but by no means least, Hairstyling and Make-up. 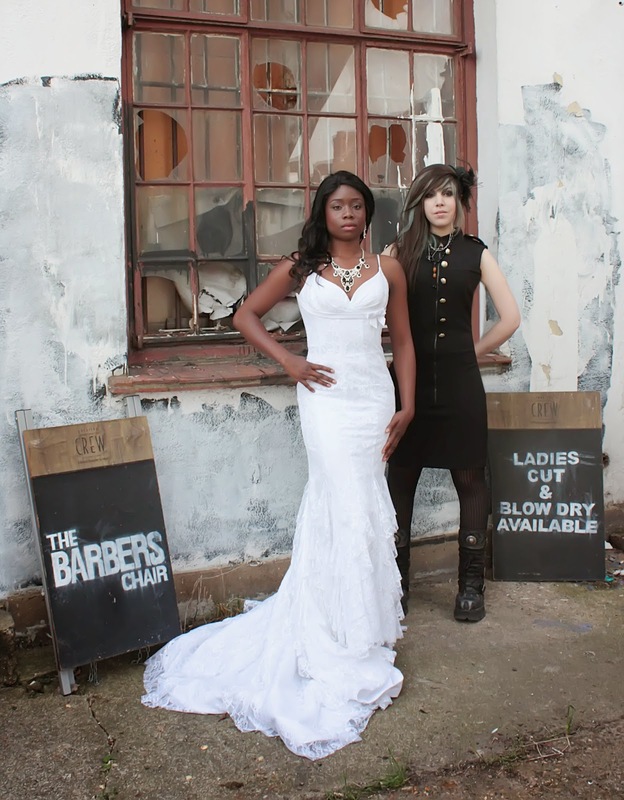 As this shoot is featured on the bride’s wedding day preparations, the Barbers Chair styled the brides and bridesmaids hair-do’s, giving them both stylish curls. Curls for both the bride and bridesmaids give that trendy urban feel as they each have a difference in personality, the bride with tight curls in a soft half up- half down look brings out her facial features. The bridesmaid is given softer curls but delicately compliments her cheekbones. 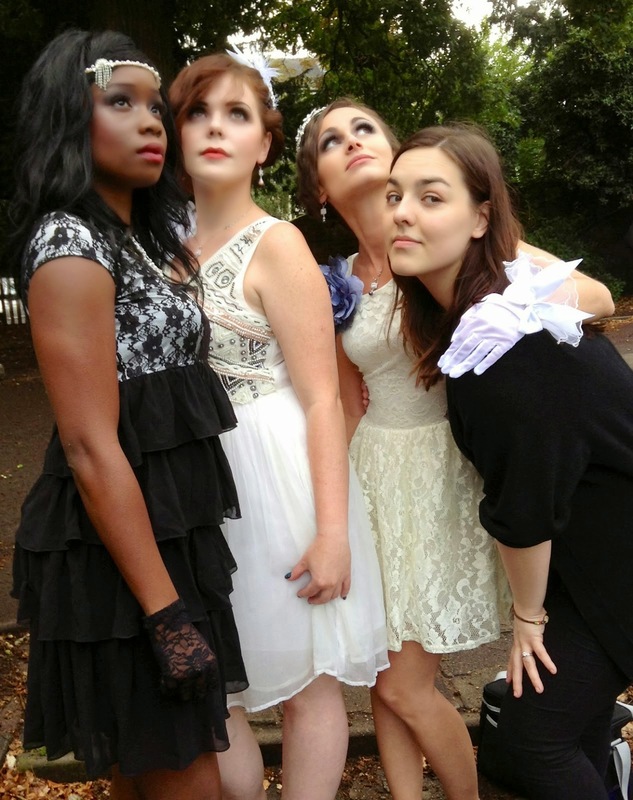 The talented make-up artist Maisie Palmer, transforms both ladies into the Urban sophisticated bride and bridesmaid that you see here, giving a modern and natural look. For those of you who feel that make-up maybe too much, Maisie Palmer MUA is able to give you that light touch of shimmer which brings out all your natural features and leaves you looking flawless in your wedding photos. By not over powering you face with too much make-up you can be sure that Maisie will give you the very best service and make sure that you look your very best for your big day. 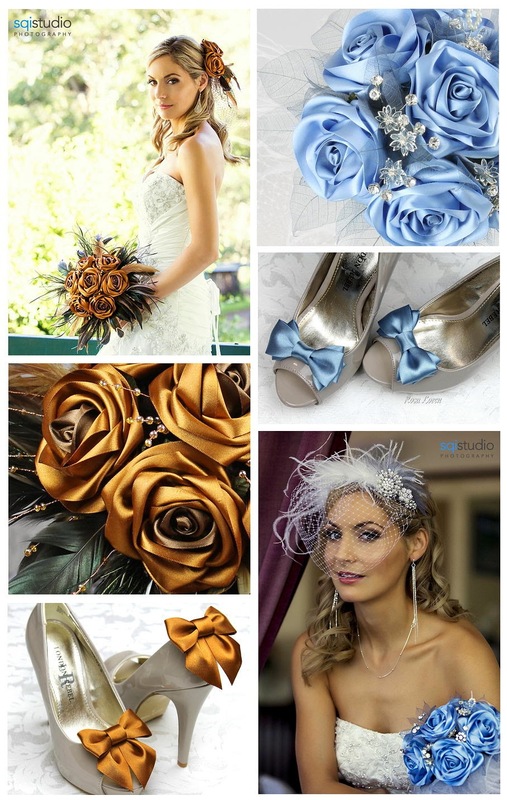 Antipodean boutique Rosa Loren are world renowned for their fabulous wedding accessories. Founded from years working within the fashion and film industries has enabled Rosa Loren to cultivate a truly spectacular range of stylish items and accessories that will really compliment wedding or special occasion attire. 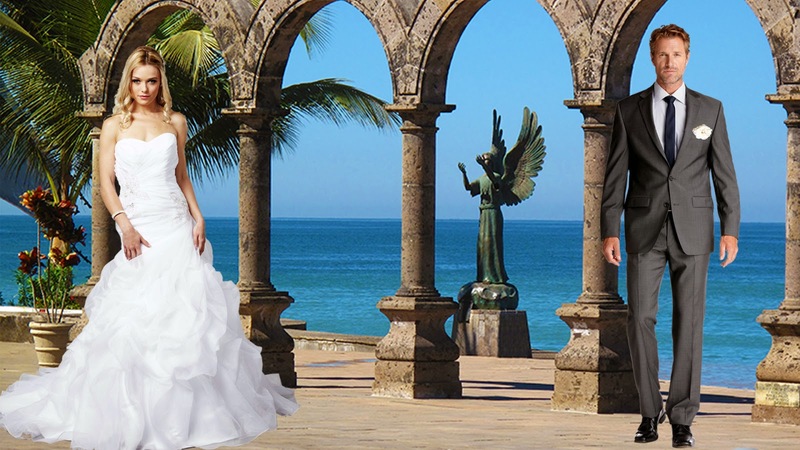 Here, Black Pearl Weddings learn a little more about this supplier par excellence. I work from my studio in Brisbane, Queensland, Australia shipping worldwide. It’s a wonderful place to live in the world – almost always bright and sunny and sub-tropically warm. Flowers bloom all year round and colours somehow seem brighter and more intense. It is out of this environment that Rosa Loren was born. I have a passion to create beautiful things and the opportunity to brighten people’s lives with those beautiful things is marvellous. In 2012, after years working in the fashion, film and wedding industry, I opened Bouquet by Rosa Loren as an online outlet. Originally dedicated to bouquets of my handmade signature satin roses, the range quickly grew to include matching satin rose boutonnieres, corsages, veils, head dresses, and shoe bows. Funky brides who want a modern edge can work directly with me to create a spectacular and unique bouquet or they can shop prêt-a-porter from the current range on display in store. Working with brides to help them create even the smallest details for their dream day is something very rewarding. Increasingly I have found that there are many brides who are very keen to incorporate tartan into their weddings. As such, I have opened a sister store, The Tartan Shop by Rosa Loren, specifically to showcase the possibilities of accessorising with tartan for both men and women for any special event. These little details mean so much. I work with a combination of satin, leather and feathers to create bouquets of any colour, yes, blue, black or purple roses – anything is possible! With sprays of pearl beads and lots of bling they are innovative, modern alternatives to fresh flowers. The core reason many choose a Rosa Loren bouquet is for their uniqueness - totally made from scratch and incomparable to what you can find available at the local florist. What’s best of all is that these bouquets will never wilt or fade. It is so ominous the way a bridal bouquet slowly withers and dies. Rosa Loren flowers will look as fresh when you renew your vows in years to come as they do on your wedding day. You are not purchasing a one-day-wonder! 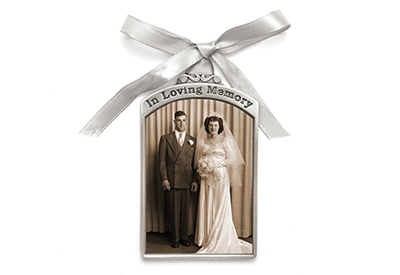 They are truly keepsakes that can be passed down the generations - your daughter will want to carry your bouquet down the aisle when she marries. There’s no concern about allergies or pollen stains either. Not to mention that all your flowers will arrive well in advance and everyone can relax - no waiting for a last minute delivery from the florist on the day of the wedding. A beautiful bouquet or boutonniere also makes a great gift for the bridesmaids and groomsmen. Rosa Loren’s accessories range includes sassy little veils; hair flowers; and bows to take your shoes from day to dazzling night-life! They are bold, never understated and meant to get attention. They appeal more widely to all funky fashionistas, not just the bridal market and are very popular gifts for birthdays, Mothers’ Day, Christmas….any special event. Rosa Loren bows! I’ve been told I have the best bows ever. 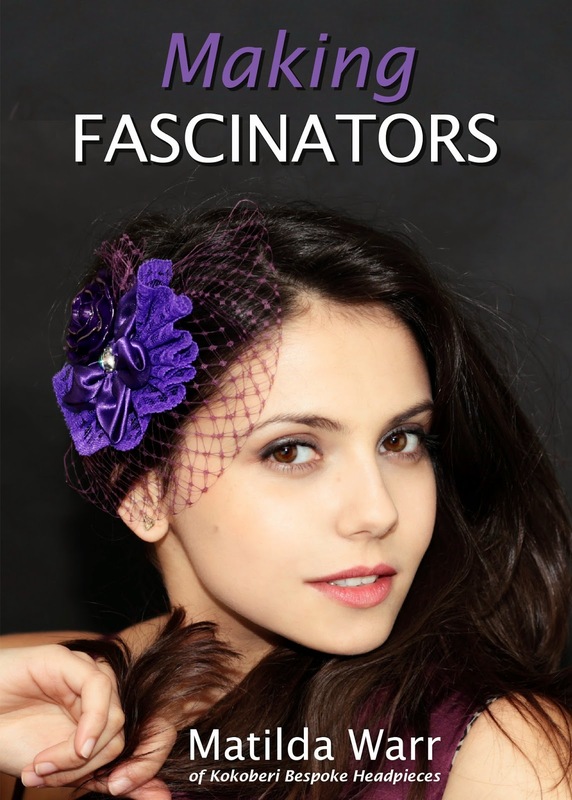 And they go everywhere – around bouquets, in the hair, on sashes, on gloves, clipped on shoes…. Shoe bows make another great gift for the bridesmaids and can finish off your look like the cherry on top! And again, they’re not just for weddings. They come in satin, velvet, organza or vinyl and can be enhanced with pearls and rhinestones for that essential element – bling! How does your service appeal to the modern couple? The modern bride and groom either wants help to create a whole look; to create an eclectic look with pieces they can mix and match; or they want to finish off their own unique style with select pieces. This is where accessorising is so important. It’s all about choice and working directly with a designer, such as at Rosa Loren, gives you more options - whether it’s getting roses in your perfect colour; getting bows in your family tartan; or being able to accessorise the whole bridal party to tie in your wedding theme. Furthermore, many couples want something ‘different’. They love traditions but they want to make them their own, to do it in their own unique way. I am inspired by the fresh, innovative working of retro style – very classic, yet very modern; for those wanting to create their own timeless look which is still very en trend. It’s great to be able to work with someone who can show you the way through a process that can be very daunting. I keep communication a priority when working with couples – there’s no middleman - you know exactly who you are working with. Today’s modern bridal couple is also very savvy. They know that details and quality are important and they need to be able to make sense of price. Working to a wise budget recognises that anything with a life extended beyond the wedding day is money well spent. The Rosa Loren motto is “…once upon a time should last happily ever after”. The days of the throw away society are fast fading as couples are demanding quality and a long shelf life for what they pay for. What advice would you give a couple when selecting your products? Most importantly - don’t leave anything to the last moment! Planning a wedding can be stressful enough without waiting for last minute deliveries that may be unavoidably delayed in the mail. It can be so disappointing when you have your heart set on something and it falls through due to bad timing. Furthermore, take a good look at everything that is available and keep an open mind about how you can create your own unique, individual look. Don’t be afraid to ask for help to realise your visions. When you shop at Rosa Loren you aren’t shopping from a large corporation. Clicking one of the “message” buttons in store will get you straight through to the owner and designer. It’s more than customer support, it’s part of the new way of buying and selling online – it’s more human; it makes sense. All Images courtesy of Rosa Loren. To see more from Rosa Lore please visit Bouquet by Rosa Loren and The Tartan Shop by Rosa Loren. 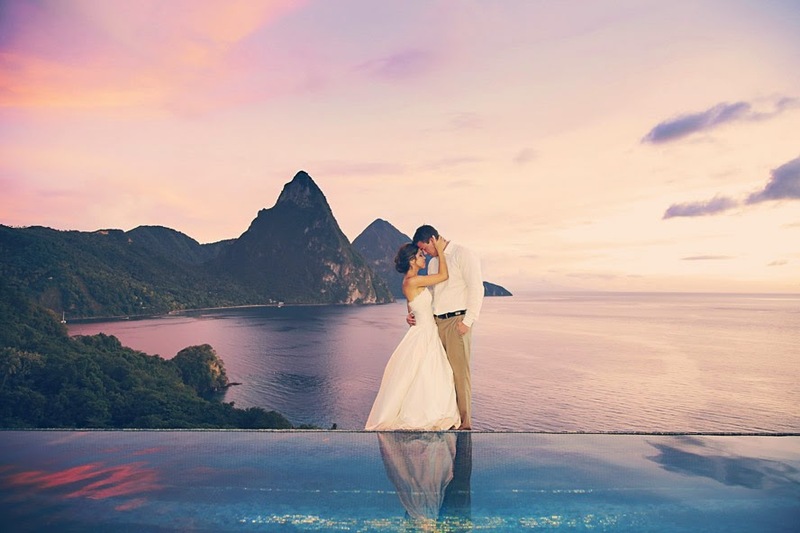 Our latest instalment of Black Pearl Weddings "The Ethnic Bride Series" focuses on a very special Island, close to the heart of Black Pearl Weddings; none other than St Lucia. 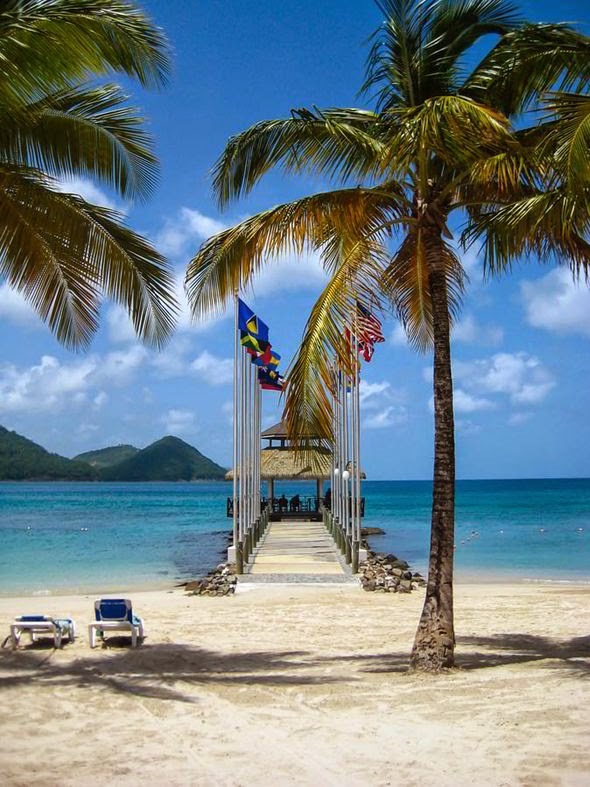 In the West Indies, St Lucia is a Sovereign Island country rich with history, and sumptuous sights and attractions. 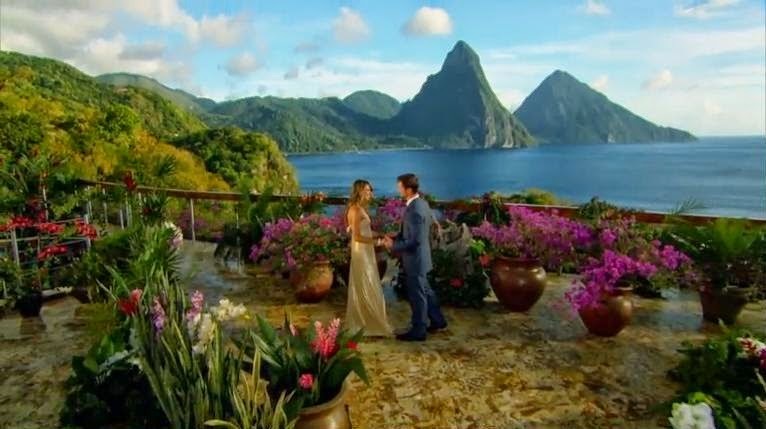 Located closely to the islands of Saint Vincent, Barbados and Martinique, St Lucia is one of the “Windward Islands”, and as such, it is host to many magnificent Caribbean cruises, with boat rides to other nearby islands easily accessible. One of the main features boasted by the beautiful Island is Sulphur Springs, the "world's only drive in volcano", with the water located at the centre of the springs boiling at approximately 340 Fahrenheit or 170 Celsius, thus creating large plumes of steam. Resulting from this magnificent feat of nature are divine volcanic springs to bathe in early in the morning before it becomes too hot! 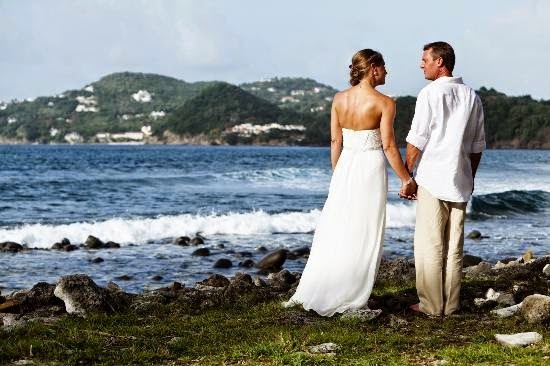 Another major advantage of giving consideration to having a destination wedding on St Lucia are the white sand beaches, and crystal blue seas vibrant with tropical fish – St Lucia is a perfect place to hold you wedding and honeymoon jointly in such a scenic and romantic isle. 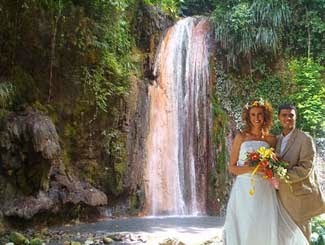 There are exquisitely simple yet luxurious huts but a stones throw away for the perfect accommodation, Set closely to the picturesque beaches, St Lucia has some truly breath-taking flora and fauna, the country hosting one of the planet’s most spectacular botanical gardens, the “Diamond Falls Botanical Garden”. 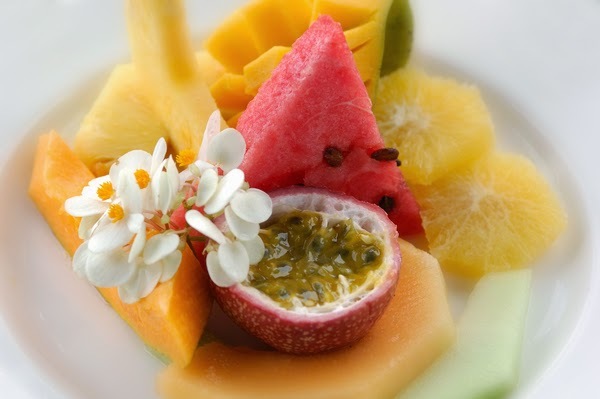 St Lucia also boasts delicious, fresh food, with a huge component of the country’s trade being fishing and also growing fruits and vegetable. Additionally, the West Indies are famed for a wonderfully relaxed pace of life and warm, friendly locals. The final wonderful attraction that we are going to focus on in this blog is Pigeon Island, a 40-acre) islet located in Gros Islet in north Saint Lucia. Previously isolated in the Caribbean Sea, the island was attached to the western coast of St Lucia in 1972 by a man-made causeway built from dirt excavated, forming the Rodney Bay Marina. Composed of two peaks the island is a historic site with numerous forts such as an 18th-century British fort and Fort Rodney and is home to the Saint Lucia Jazz Festival. Black Pearl Weddings are delighted to present service providers of brilliance, Green 4 Screen. 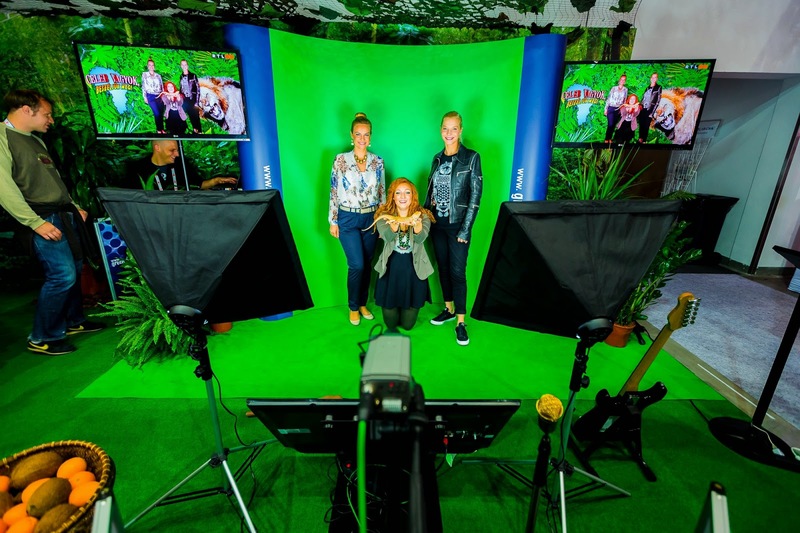 Specialising in combining photography with cutting edge technology, Green 4 Screen offer an entirely unique service for weddings. 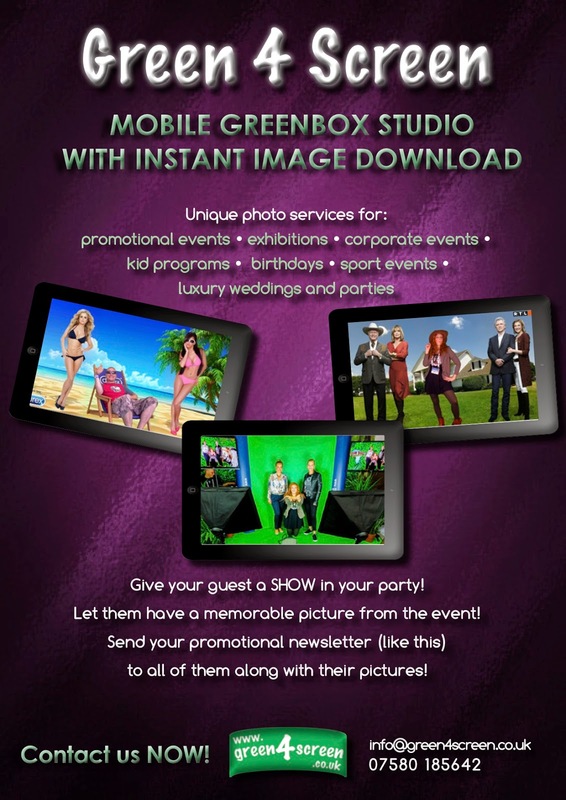 Offering a full complement of services including a photographer for the occasion, a mobile green screen, and assistive technology for instant image capture, alongside a display instantly showing the photographs, so that you can be assured in having only the very best images for your wedding album. Utilising their image enhancing technology, Green 4 Screen can then creatively manipulate the image to alter the background to any you desire, creating absolutely bespoke images for your special day. 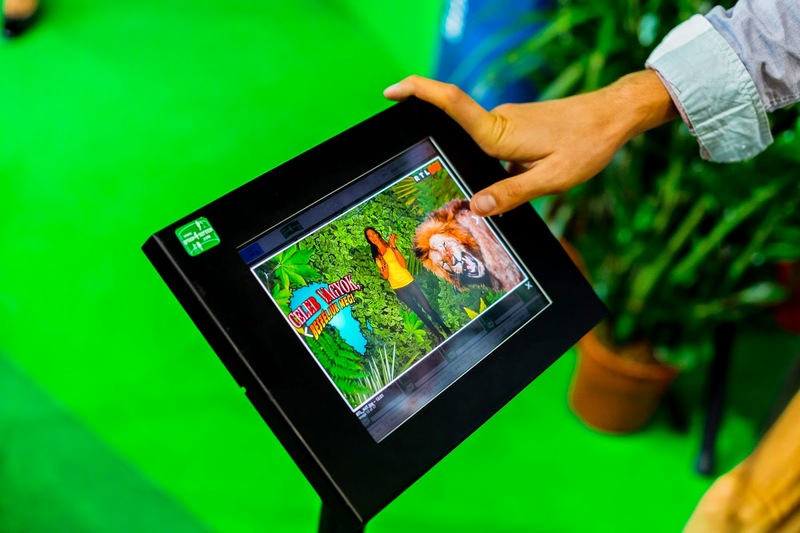 Not only this, but this spectacular technology comes with a presenter as well as skilled photographer and image enhancer. 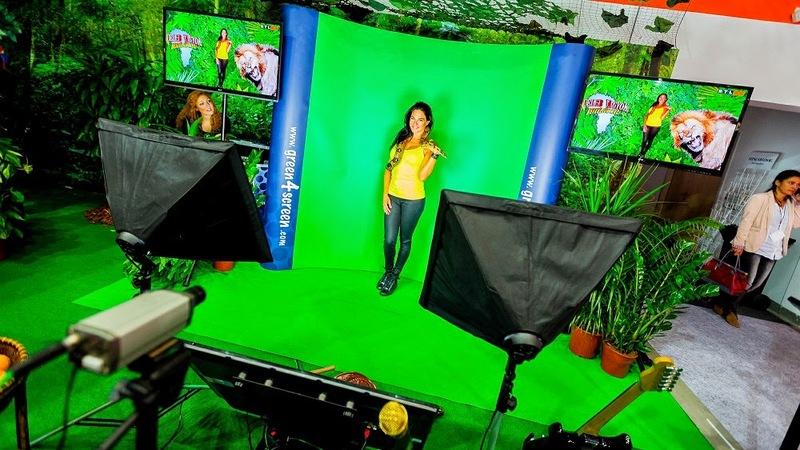 Green 4 Screen also offer a package including entertainment for your day including Karaoke, so that the image taking process can continue into the evening while participating in your desired activities. So let the creative collaboration flow during your ceremony, knowing that Green 4 Screen are truly able to offer you a photography service in a league of its own. For more information, please visit www.green4screen.co.uk. 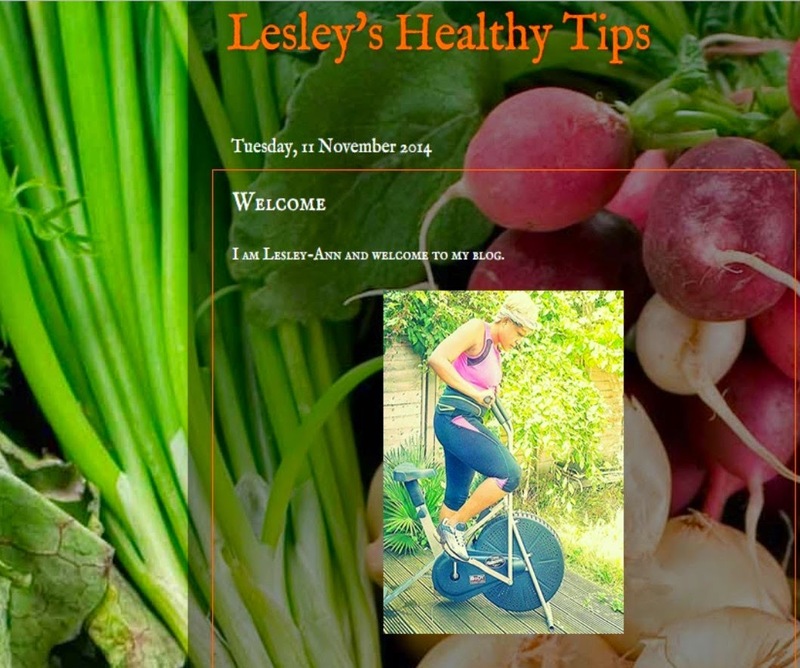 Black Pearl Weddings have had the opportunity to meet with the lovely Lesley, author and founder Lesley’s Healthy Tips, a superb new blog detailing numerous ways in which to enjoyably lose weight or manage your BMI at your target size. With exceptional knowledge of lifestyle advice, and personal experience in achieving her ideal, boosting self-confidence and wellbeing, Lesley has decided to share her expertise with the world, and offer some stunning information for brides on how to prepare for their ceremony at their leisure, so that they can feel their very best on the day. Please us a little about yourself ? I’m Lesley, I am a 5’9” tall, 30 something professional woman, with a story to tell and ideas to share. Please tell us a little bit about your blog ? I was inspired to start a blog about my journey through past struggles I had with my weight, more so after giving birth to my second child and the impact it had on my self-esteem and confidence. Finally I decided enough was enough and took matters in hand, seeking brief, unplanned, informal advice & tips from a Health Advisor. I incorporated my own tips and tricks that worked into the plan, which helped me to change from being sized 18 and weighing in excess of 210lbs/15st/95kg, down to a size 12/14, weighing below 180lbs/12.9st/82kg. My blog however, is not simply about losing weight but also about shedding pounds healthily whilst remaining realistic throughout the process, allowing my help, advice and experience to assist you on your journey. 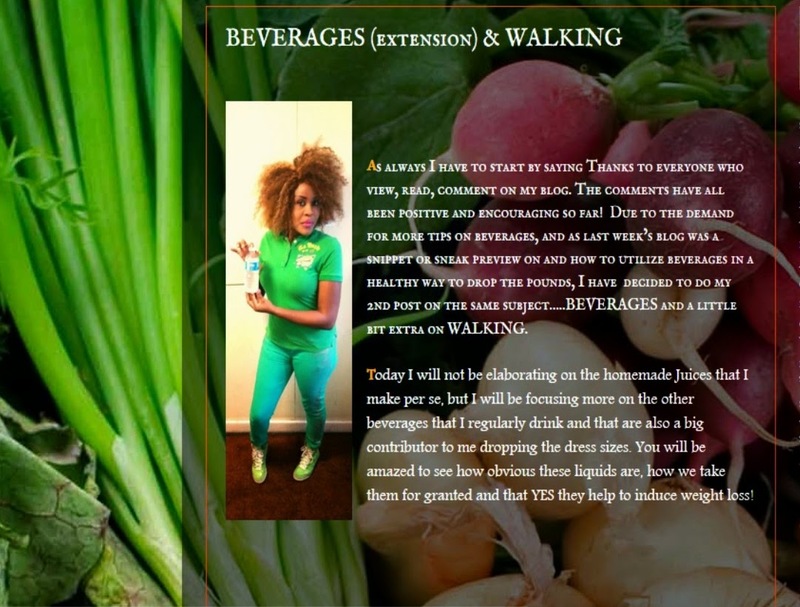 The blog is unisex so both genders will learn from the many tips and tricks to achieving their target weight. Please tell us how your tips will benefit the bride ? The sooner that brides-to-be start utilising my advice and information, the more benefits they will reap, undoubtedly boosting her self-esteem and confidence. This will not only allow her body to adjust to the new changes comfortably, but her state of mind and wellbeing also. In an ideal world, most ladies would like to trim down without putting in much effort or in a very short timescale, in time for her BIG day. Unfortunately this is simply not possible. 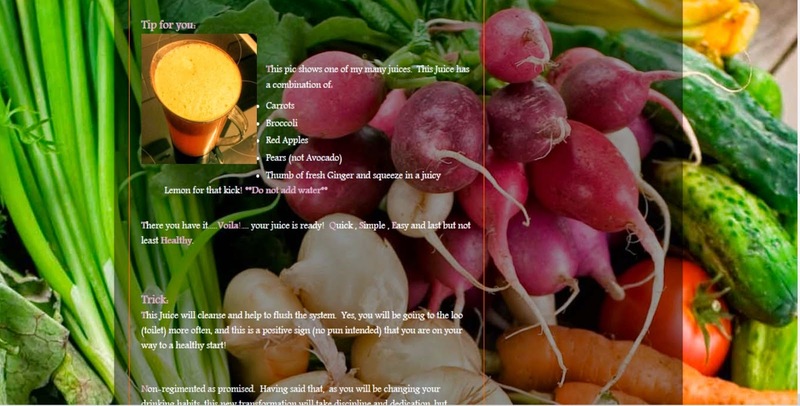 My blog is realistic and gives info on different beverages (home-made), foods, work outs & exercises, types of clothing to wear with the aim of aiding weight loss healthily and to reach their target BMI in time for the wedding. I encourage all brides-to-be to visit my website, and subscribe to get my weekly blog sent straight to their emails. Subscribers can also email me via the website for personally tailored tips and tricks and get started. 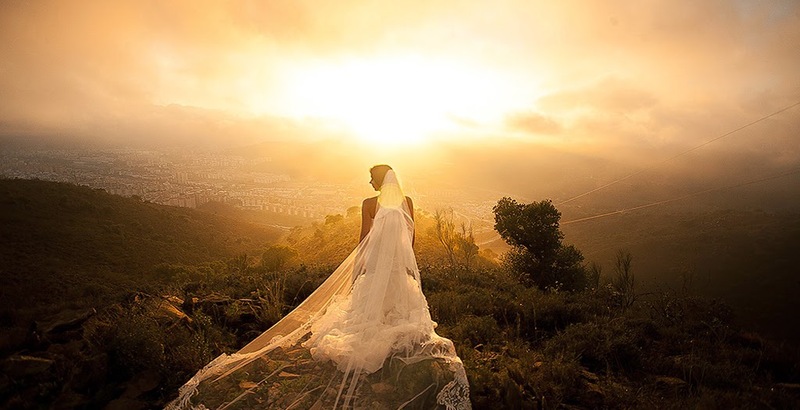 Do you have any tips that would assist the bride to lose weight? 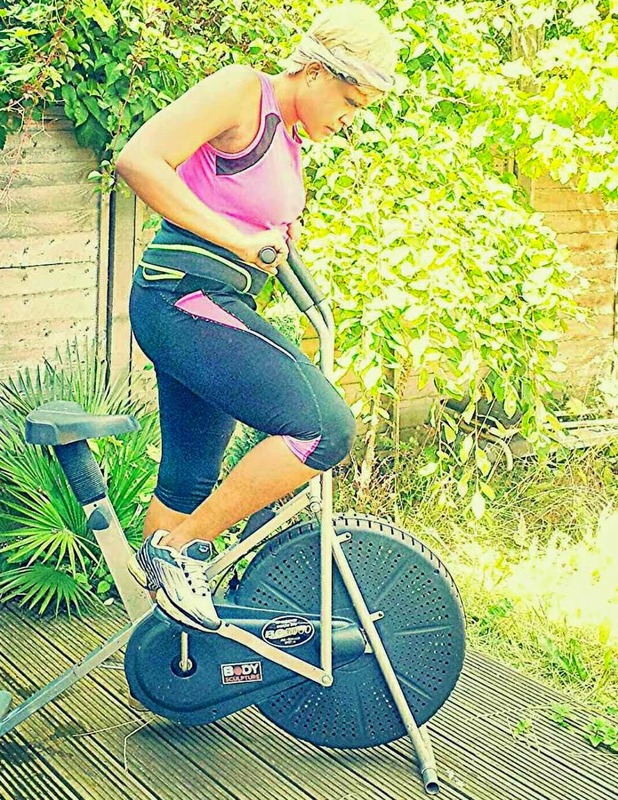 One of my favourite tips for the bride-to-be who has excess weight around the midriff that she isn’t happy with, is to start with a small number of sit-ups daily, for example 10 to 15 reps. I’m going to be generous and divulge another tummy buster tip, which is there are special undergarments that you can wear daily to target the fat around the tummy area which actually works. For more information and my personal recommendations, simply subscribe to my blog.